Another great weekend in Barrie is coming in hot and we’ve got a list of fun activities to keep you busy. Locations all across Ontario will be participating in Maple Weekend taking place April 6th & 7th from 10 am-4 pm. 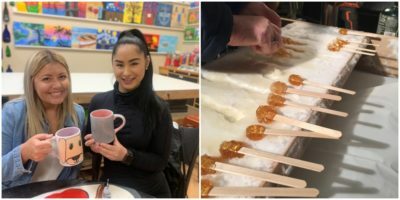 Local sugar bushes will offer a first-hand opportunity to see how maple products are produced, along with the chance to taste and purchase syrup, candies and confections. Many locations will also have pancake breakfasts, sugar bush trail walks, sugar making demonstrations, taffy on snow, horse drawn sleigh rides and more! Stop in for a beer and shop local at Redline Brewhouse Sunday April 7th from 11 am-4 pm. Participating vendors at the Spring Market include: Bay Harbour Natural Skincare, Cukor Muse, Petal Pusher Studio, The Sauce Shack, Sterling and Stones Jewelry by Jane, Sweetened by Kagi and Wild Jewelry. Get crafty at Creative Cafe this weekend. Create something beautiful to take home and have fun with friends while doing it! Creative Café supplies all the tools you need to complete your own piece of art with the most popular activity being paint-your-own pottery. Cost is dependent on what you choose to do. Some options include: Mugs, plates, bowls, figurines and piggy banks. What’s on this weekend at Five Points Theatre? 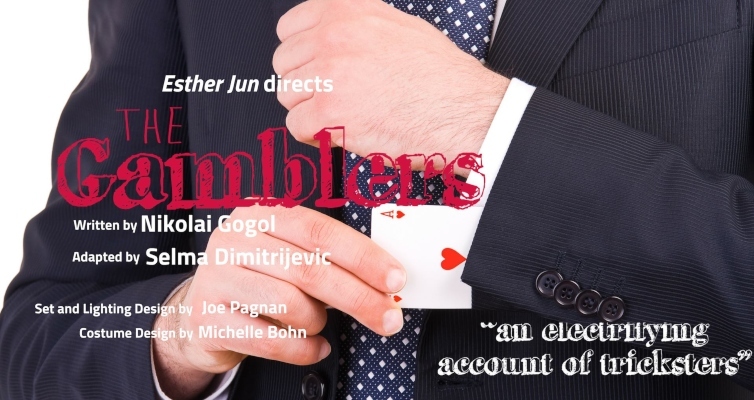 The Gamblers- a comedy of card sharps and conﬁdence tricksters. For tickets, click here. Hit the links no matter what the weather’s like. North Swing Golf Lounge uses industry leading technology to provide you with a fantastic indoor golfing experience. You can play for as little as $11/hour when you book with a foursome. Book your tee time online, but hurry, they book up fast! Drop by Donaleigh’s Irish Pub Saturday between 2 pm-5 pm for great food and live tunes. Jump up on stage if you’re feeling brave or just sit back and enjoy the music. If you plan on grabbing a bite there, be sure to keep an eye out for the specialty daily feature, MMM! Looking for a place to catch up with a friend over the weekend? Check out Common Good Social House. It’s the perfect place to be for those happy and relaxed weekend vibes. Common Good has an incredible menu with all sorts of tasty, healthy options for food and drinks. This spot is a must visit! “They are back….hotter, bigger and ready to shock the heck out of you.” The Deceiving Divas are returning to The Stone Grille Restaurant and Bar in Innisfil for a night of wild performances in an outrageously fun show. The show features impersonation performances of some of the greatest and latest in the entertainment industry including stars such as Cher, Dolly Parton, Whitney Houston and Shania Twain. Try something new this weekend! The event is this Saturday April 6th, 9 pm-12 am. Tickets are $30.